MFG is much more than just a finance company… we’re a local lender that provides our clients fast service and cost-effective financial solutions. With flexible programs for new and used equipment purchases, loan refinance and consolidation, working capital and equipment repair – we have programs to meet the needs of a variety of borrowers. We truly understand your industry and the operating challenges you face and can provide you with the best options for your business. So, whether you’re looking to consolidate loans or generate extra working capital, we will work with you to customize your specific equipment financing needs. 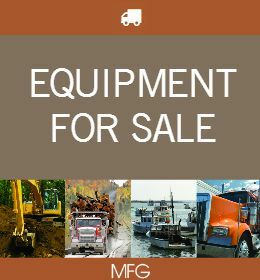 Whether you’re buying or selling, we stand ready to connect you with the right piece of equipment. We’re a local lender that provides our clients fast service and cost-effective financial solutions. Call. Click. Come In. We want to hear from you and we look forward to working with you. Whether you're just getting started or are already well established, we have a number of lending options for your business.